select *, DATE_FORMAT(birthday, "%b %e, %Y") as _birthday, DATE_FORMAT(died, "%b %e, %Y") as _died, MONTH(birthday) as month_birth, DAY(birthday) as day_birth, DATE_FORMAT(birthday, "%b %e") as _birth_day_month from agatti_people where agatti_people.u_name = "audrey-hepburn"
Shares birthday with Howard Da Silva, Curt Conway, Edgar Dearing see more.. Legendary actress, Audrey Hepburn, was born Audrey Kathleen Ruston on May 4, 1929 in Ixelles, Belgium. Hepburn appeared in over 30 film and TV roles from 1951 through 1989. 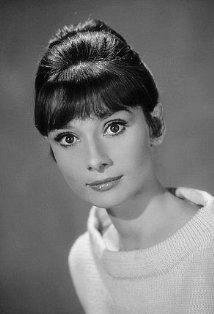 Her best known films include Roman Holiday, Sabrina, The Nun's Story, Breakfast at Tiffany's and Wait Until Dark. Hepburn died at the age of 63 on Jan 20, 1993 in Tolochenaz, Switzerland and was laid to rest in Tolochenaz Cemetery in Tolochenaz, Vaud, Switzerland. With an effervescent screen presence, keen scene of style, and mastery of all things having to do with class, Audrey Hepburn is one of the most relevant and enduring screen legends of the twentieth Century. Along with Marilyn Monroe, and James Dean, she has come to epitomize the glory and glamour of Classic Hollywood. Audrey Kathleen Ruston was born on May 4th, 1929 in Ixelles, Belgium and came from a very blue-blooded family. Her father, Joseph Ruston, was a wealthy English banker who claimed to be a descendent from English nobility. Her mother, Ella Van Heemstra, was a Dutch baroness who also laid claim to being descendent from Scottish nobility. Hepburn would spend much of her early traveling across Europe due to her father's job, allowing her to become fluent in English, Dutch, French, and Italian. In the early 1930's both of her parents who joined the incredibly right-winged British Union of Fascists. 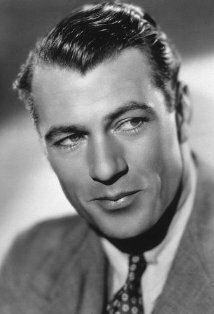 Joseph would eventually leave the family, officially divorcing his wife in 1938. After the divorce, Hepburn moved to England with her mother and brothers where she attended a small private boarding school. Due to rising political tension in Europe, Hepburn, her mother, and two half brothers from a previous marriage moved to the Netherlands, assuming the country would remain neutral as it had during World War I. A year later, however, the Nazi's invaded and Hepburn was forced to endure the hardship of war. Although her mother had originally been a supporter of fascism in theory, upon experiencing it in practice Hepburn's mother political stance changed and soon she joined the Dutch Resistance. During the Nazi Occupation, Hepburn suffered from depression and malnutrition, which would permanently affect her weight. She was subject to seeing harsh acts of Nazi brutalism and in 1942 witnessed the public execution of her Uncle and four others for their participation in the Dutch Resistance. That same year her brother, Ian, was eventually sent to German Prison camp while Alexander, her other brother, fled the country to avoid such a fate. Hepburn would eventually participate in the resistance. A ballot dancer since the age of five, Hepburn used her love of dancing to aid in the Dutch resistance. She performed a series of secret ballet to raise money for the rebels. She would also bring secret messages hidden in her shoes to resistance leaders, effectively out-witting the Nazi's with her cuteness. On Hepburn's 16th birthday the Allied Powers liberated Holland. The time spend under Nazi occupation would have a profound effect on Hepburn and lead to her humanitarian work later in life. After the war in 1945, Hepburn would once again relocate to Amsterdam to pursuit a career in ballet. She would also model on the side for extra money and eventually was asked to do a screen test in 1948 for a small role in the Dutch film, Dutch in Seven Lesson. It would be Hepburn's first screen role. That year she moved to London with mother to study at the Ballet Rambert. Although she proved a more than worthy dancer, Hepburn realized her height and effects of malnutrition would prevent her from becoming a Prima Ballerina and decided to further pursuit her modeling/acting career. Soon, she was hired as chorus girl and became a regular on the British Stage, appearing in musical revue's such as High Button Shoes, and Sauce Tartare. In 1950 she made her West End debut in 1950's Sauce Piquante. During this time Hepburn was noticed by British talent scouts and began getting offers from British film studios. 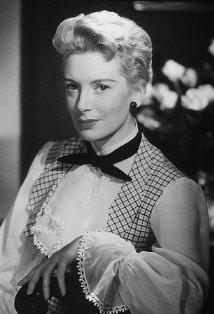 In 1951 she had small roles in films One Wild Oat and The Lavender Mob Hill. In 1952 while filming Monte Carlo Baby Hepburn met the renowned author Colette. The screenwriter was so taken by Hepburn's charm that soon, she was off to New York to start rehearsals for the Broadway play Gigi. Hepburn would spend hours with a private acting couch to supplement her already daunting rehearsal schedule. The play opened to rave reviews, with much of praise going to the play's effervescent young star. Hepburn would then reprise her role on the nation-wide, cross-country tour. Soon after Hepburn was off to Hollywood to do a screen test for William Wyler's upcoming production, Roman Holiday. Upon giving Hepburn the screen test, Wyler immediately knew he had found the right woman for his next film. Soon after, Hepburn was whisked away to Europe for the filming of Roman Holiday. In the film Hepburn plays an incognito Princess who escapes the formal trappings of royalty and falls in love with American reporter Gregory Peck. Knowing Hepburn was the true star of the film, Peck insisted her name be placed above the title with his, instead of the customary "introducing" title placed on the bottom of the poster. Of course, he was right. The film went on to be a smash hit with Hepburn quickly ascending to the heights of Hollywood stardom. She would go on to win The Academy Award, BAFTA, and Golden Globe for Best Leading Actress. Her success only continued with her next film, Billy Wilder's Sabrina starring opposite Humphrey Bogart and William Holden. In the film Hepburn played the shy daughter of a wealthy family's chauffer who, upon returning from her schooling in Paris, becomes the center of a love triangle of the families two sons. The film not only solidified her star status, but also marked the beginning of her many collaborations with fashion designer, Givenchy, whose designs would help Hepburn become the fashion Icon she is remembered as today. Hepburn's next Accomplishment came in the form of a Tony Award for her work in Broadway production of Ondine. Hepburn would go to marry her co-star/writer/producer Mel Ferrer. Their marriage would last fifteen years. 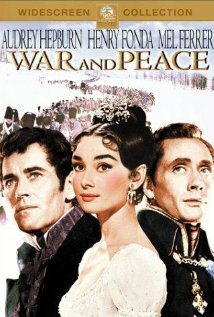 In 1956 the newly married couple starred in King Vidor's epic cinematic adaptation of Leo Tolstoy's War and Peace opposite Henry Fonda. For her role Hepburn was paid $350,000 dollars, the largest sum of money paid to an actress for a single at the time. The next, Hepburn was given the opportunity to show movie audiences her dancing chops in the Stanley Donen's Funny Face. 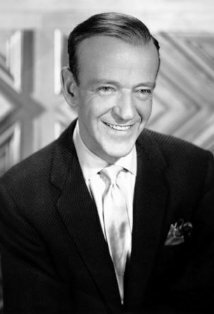 In the film, Hepburn played a Greenwich Village intellectual wooed into the world of Parisian modeling by none other than dancing King Fred Astaire. 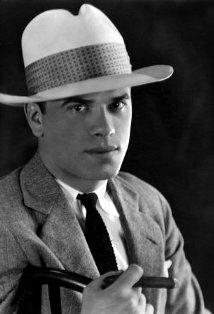 She rounded out the decade with Fred Zinneman's The Nun Story, earning herself another Oscar nomination in the process. 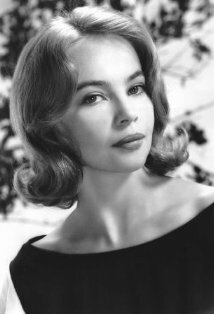 She next starred her husband's forgettable 1959 film Green Mansions opposite Anthony Perkins. The sixties began with the forgettable The Unforgiven, which critics agreed Hepburn was too polished and sophisticated to play a half Indian daughter of the Old West. Her cosmopolitan nature, however, was put to good use in her next role as the New York chic Holly Golightly in Breakfast at Tiffany's. Often thought of as her defining role, the iconic character would forever be link Audrey Hepburn "the little black dress." Her next film, William Wyler's The Children's Hour was a huge departure from her signature role. In it she played a boarding school teacher accused of having a lesbian relationship with her best friend/co-teacher, played by Shirley MacLaine. It was one of Hollywood's earliest films to touch upon the subject of lesbianism. 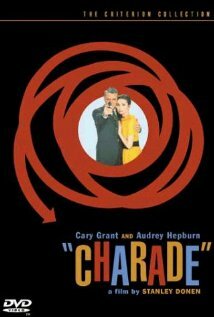 In 1963, Hepburn was paired with Cary Grant in the espionage caper Charade. The film was hugely successful due to the peas-and-carrots and photogenically flawless pairing of the two. In 1964, Hepburn starred opposite of Rex Harrison in My Fair Lady, playing cockney flower girl turn belle (or should I say princess) of the ball, Eliza Doolittle. The film was a massive hit, winning eight of its twelve Oscar nominations. 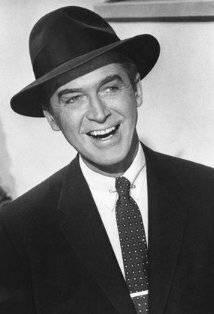 She would work with her mentor, William Wyler, again in the comedy How to Steal a Million in 1965 and re-team with Stanley Donen for the 1967's Two for the Road. 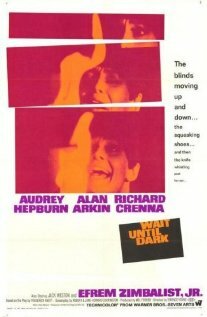 Also released in 1967 was the highly acclaimed Wait Until Dark. In the film, Hepburn played a blind woman terrorized by criminals and was nominated for her fifth and final competitive Oscar Oscar. After the film, Hepburn went into semi-retirement to better raise her two children. During this time she divorced Ferrer and married Italian Doctor, Andrea Dotti. She briefly came out of retirement to star in Robin and Marion opposite Sean Connery. Through out the seventies film appearances where rare and of admitted varying quality. In the eighties, she would focus on humanitarian work, particularly with children, remembering those who helped her after her own liberation from Nazi powers. In 1987, she was officially appointed UNICEF Goodwill Ambassador. In 1989, she made her final film appearance in Steven Spielberg's Always. True to form, she played an Angel. In the last years of her life, Hepburn became increasing devoted to her work with UNICEF. She traveled from Ethiopia to Turkey, from to Somalia to Guatemala working to create food routes in these war-torn countries in an effort to save civilians from starvation. 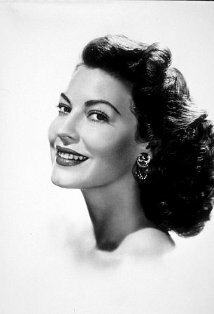 In 1992, a year before her death, she was awarded the Screen Actors' Guild Lifetime Achievement Award. She was awarded the Jean Hershlot Humanitarian Award posthumously. Audrey Hepburn passed away on January 20th,1992 in Switzerland. She was 63 yeard old. Audrey Hepburn was nominated for five Academy Awards, winning one for Best Actress for Roman Holiday (as Princess Anne) in 1953. 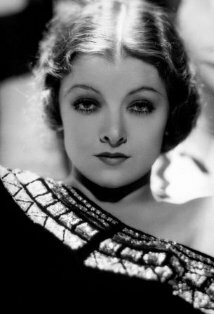 She also won one Honorary Award in 1992 - the Jean Hersholt Humanitarian Award [NOTE: The Academy's Board of Governors voted to confer this award on January 12, 1993. Ms. Hepburn passed away on January 20th, and the award was accepted on her behalf by her son, Sean Hepburn Ferrer.] . She was honored with one star on the Hollywood Walk of Fame in the category of Motion Pictures. In addition, Hepburn was immortalized on a US postal stamp in 2003. Mark Wallace: What kind of people just sit in a restaurant and don't say one word to each other? Nicole Bonnet: Indian wrestling at a time like this? Was a three pack a day smoker.